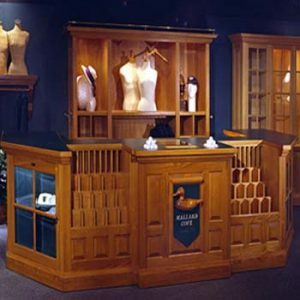 Crown dentil molding and raised panels are signature statements from McGowen Displays custom wood shop. 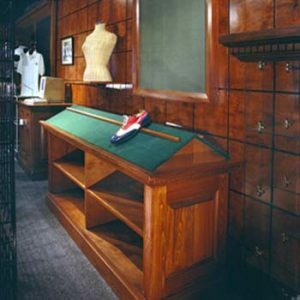 Attention to detail and meticulous quality are standard in every piece. 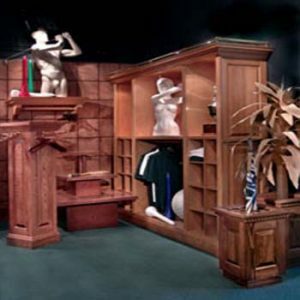 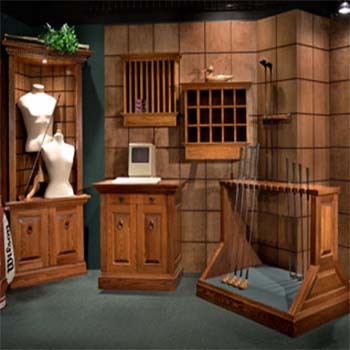 Shown here are just a few options: Traditional Corner Showcase, Traditional Ball Display, Traditional Glove Display, Handicap Computer Cabinet or Breakfront, and the Mobile Golf Club Display. 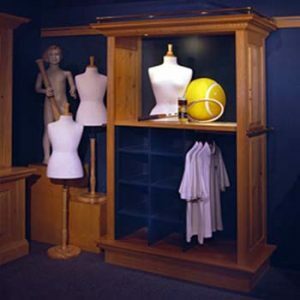 Special stain matching available and made to order!